Another pop up event confirmed at the Kingsdown venue, this time on Wednesday, November 16th. 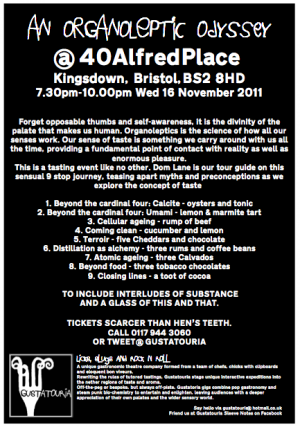 “An Organoleptic Odyssey”(organoleptics being the science of how all our senses work) describes itself as “a tasting event like no other”. 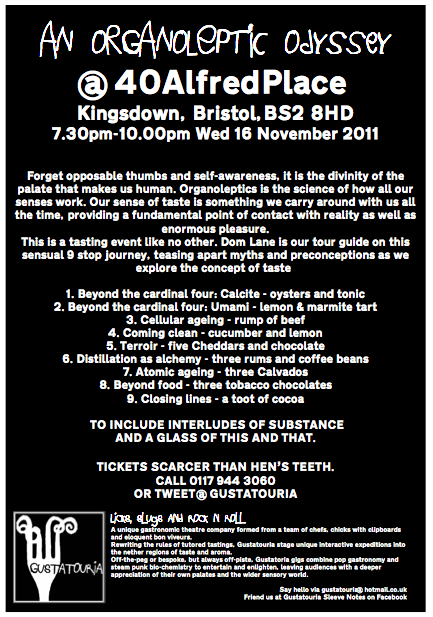 The event will take place from 7.30pm – 10pm, with Dom Lane introducing 9 “courses” designed to challenge your senses. It sounds like a fascinating event – full details, including information on how to book, can be seen on the flyer below.